We have an extensive range of products and treatments for natural, gel and artificial nails to quickly and effectively care for your cuticles and hands and feet, to solve whatever issues which may effect your nails. We have a skilled Team of expert technicians. 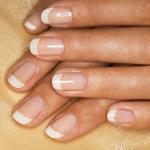 Gill heads the nail team at Serenity Day Spa on 012300255.